Attention all hams. 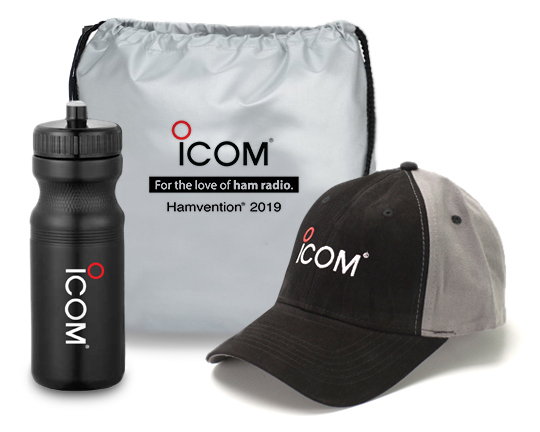 Be one of lucky the winners to receive a commemorative Icom Hamvention® 2019 Swag Kit. Sign up today to be entered into the drawing. This is an at show promotion - so attendance is required to receive the swag kit. * Registration is open until May 5th. All winners will receive a claim number prior to the show. Contest will be live 4/15/19-5/5/19. Additional prizes to be awarded at Hamvention® 2019.